In 21 years ExpHotel we have gain strong recognition as the Expo /trade Show must complete and full variety event, offering the ideal business environment to establish successful business trade relationship between HOTEL and RESTAURANT SUPPLIERS with POTENTIAL PURCHASING PROFESSIONALS from the Hospitality and Tourist business in the Mexican Caribbean. In only three days of Expo you built a portfolio of contacts to work with and increase your sales. A Paradise of opportunities is Quintana Roo, offering 97,606 hotel rooms, built in 928 hotels, with approximately 1,420 restaurants of all kinds of specialties. A market of 8,660 MDD of consumption . Constantly looking for suppliers to fulfill their needs, from food and beverage to maintenance, the application of new technologies, such as equipment, furniture outdoors and indoors, linen, decorations garments, etc. Why invest in Quintana Roo? ExpHotel presents a very wide selection of the newest and the trendiest products and services in the hotel and restaurant industry. We aim to contribute in your constant searching for different suppliers, and We are sure that in your visit at ExpHotel you will find something that will help in the budget and better the operation of your establishments. *More than 7,500 potential buyers visiting. *The best Networking with results at short and medium terms! CULLINARY DEMOS WITH THE FINESTS CHEFS IN THE CARIBBEAN. Our Venue for 22 Years. Our experience at EXPHOTEL 2014 and Exphotel 2015, overpassed our expectations. 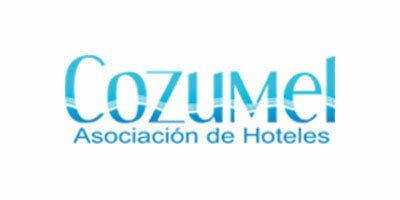 Since the principal goal in the company is to generate the need of RHINO BOOTS Brand in the hotel industry at Quintana Roo, we bet for participate as exhibitor in EXPHOTEL every year!A wonderful experience that gave to us the opening in such a great market, in which we are consolidating very important commercial bounds. No doubt we look for the opportunity to exhibit next year.